Little Governors’ Camp has recently been hard at work with their new camp upgrades, but that’s not the only thing they’ve got up their sleeves at the moment. Little Governors’ Camp is on a mission to reduce their carbon footprint, and one of the biggest steps towards this goal is to reduce their use of plastic. This follows on the heels of Kenya’s new ban on plastic bags which states that the use, manufacture, and importation of plastic bags is now illegal in Kenya. Little Governors’ has just implemented a new reverse osmosis water filter system. This system is providing clean safe drinking water to all guests in camp whilst at the same time eliminating all plastic disposable water bottles from camp. Each guest is given a branded metal water bottle when they arrive in camp and there are water dispensers set up throughout the camp where guests can refill their metal bottles. Each tent is fitted with an individual reverse osmosis system which feeds a swan tap inside the tent, and there are glasses in the tents so guests can fill up from the swan tap when they feel thirsty or fill their metal bottles directly from here. 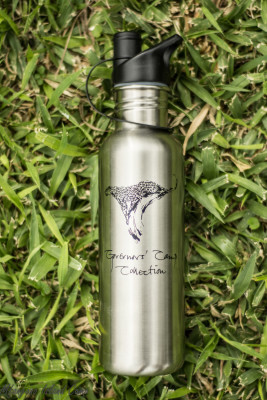 Guests are free to take their metal water bottles home with them at the end of their safari. 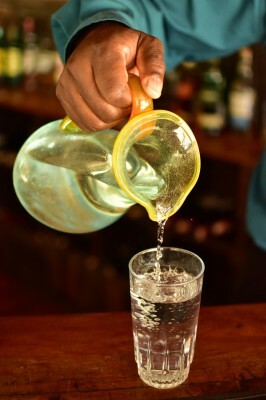 We have also eliminated all plastic water bottles from the bar and dining areas and instead use beautiful hand-blown glass jugs. Little Governors’ Camp estimates that this new system will save around six plastic bottles per guest per stay, resulting in a huge reduction in their plastic waste footprint, not to mention the transport and embedded carbon footprint in bottled water. 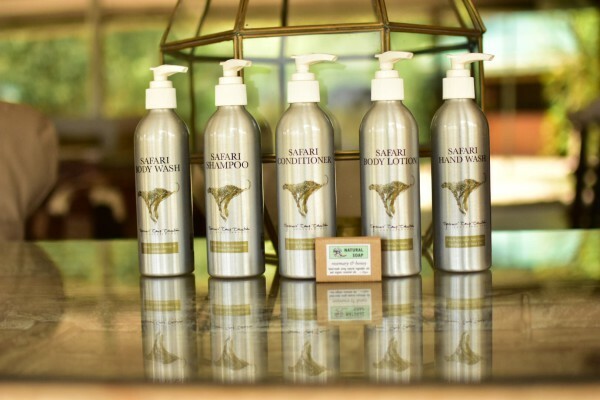 The camp has also eliminated all the small plastic bathroom toiletries and instead provide a range of lovely locally handmade organic products in metal dispensers, made by Cinnabar Green, near Mt Kenya. These products have proved so popular with guests that they are now stocked in the gift shops! Guests travelling to Little Governors’ Camp should be aware to not bring any plastic bag into Kenya. The plastic bag ban applies to carrier bags with handles, with or without gussets, and flat bags without handles and without gussets. There may be checks at international airports and within Kenya and the fines and penalties for being caught with a plastic bag are quite severe. 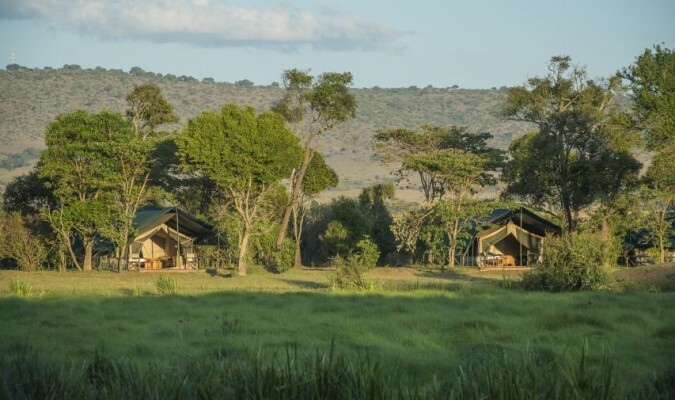 Situated on the banks of the Mara River, Little Governors’ Camp is accessible only by boat, followed by an escorted scenic walk through the riverine forest. The adventure it takes to reach the camp is well worthwhile as Little Governors’ Camp boasts a magical, secluded location. With just 17 luxury en-suite tents, built around a small watering hole that teems with wildlife, the camp offers a remote, romantic and authentic African safari experience. 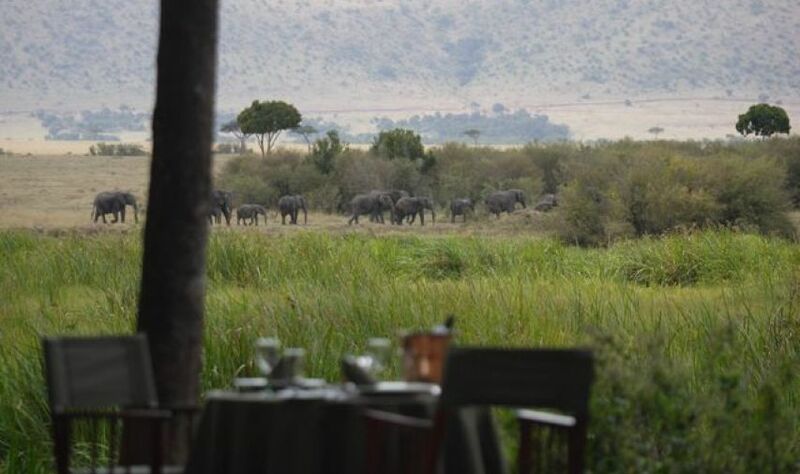 In addition to the wonderful setting, guests at Little Governors Camp can look forward to two daily game drives, visits to the nearby Maasai community manyatta, and visits to the community and conservation projects. Hot Air Balloon Safaris can also be arranged at an extra cost and are a fantastic way to experience the Mara from a completely different angle.